While the release date is less precise on the online front, Gigamix 1 is guaranteed to be at comic book specialty stores tomorrow. Call your local store ahead of time just in case! 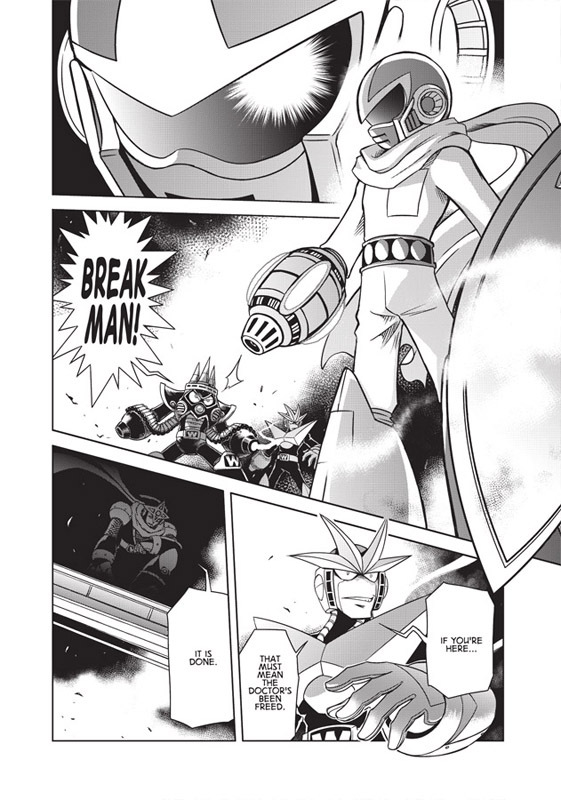 I got a note from Amazon yesterday saying that my pre-ordered copy of Gigamix Volume 1 won't ship until sometime in July. Yeah, I was gonna say, hopefully online orders will change to reflect this new shipping date. I really don't want to have to wait another 2 months to get something that's already available in comic shops. Also, kudos I guess to UDON for getting it out without too much of a delay. They're on the right track. @Anonymous: Amazon has received their copies of Gigamix 1, so I would guess that they start sending them out in a week or so. 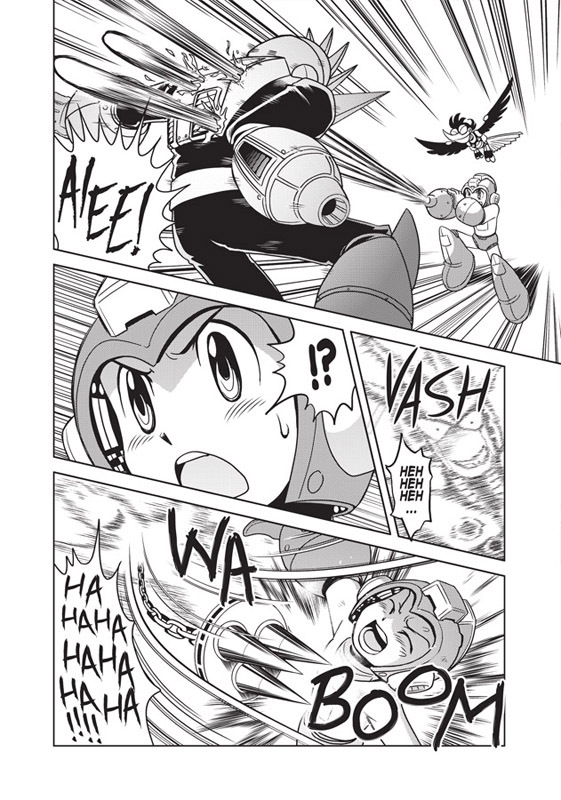 Cool, I'm looking forward to those adaptations of MegaMan 3 and MegaMan World V.
That last image is awesome. 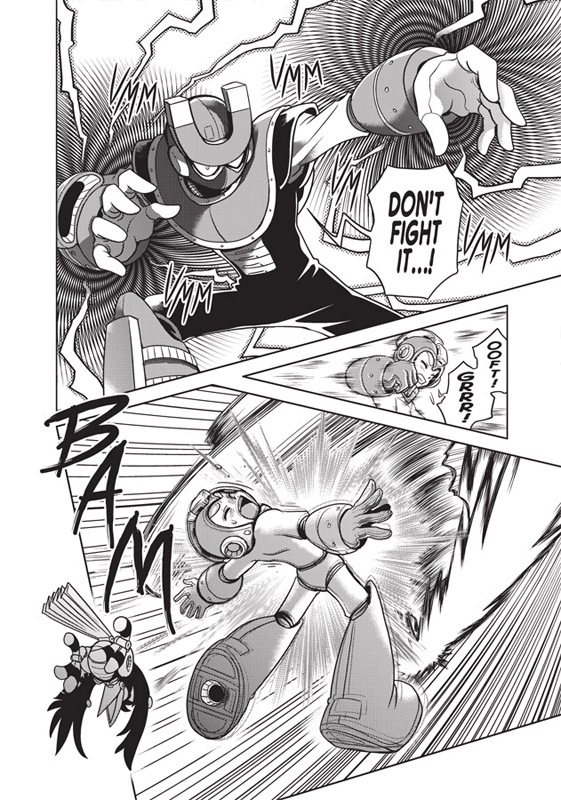 Wouldn't it be awesome if Capcom redid the classic MegaMan games to follow the events as told in Ariga's mangas? After seeing something as simple as fighting SlashMan instead of a plain boss room - it just makes too much sense. With a bit more event-driven gameplay and a little more story, the reputation of "same old formula" for every MM game would have been long gone. Ouch! Poor Slash Man. 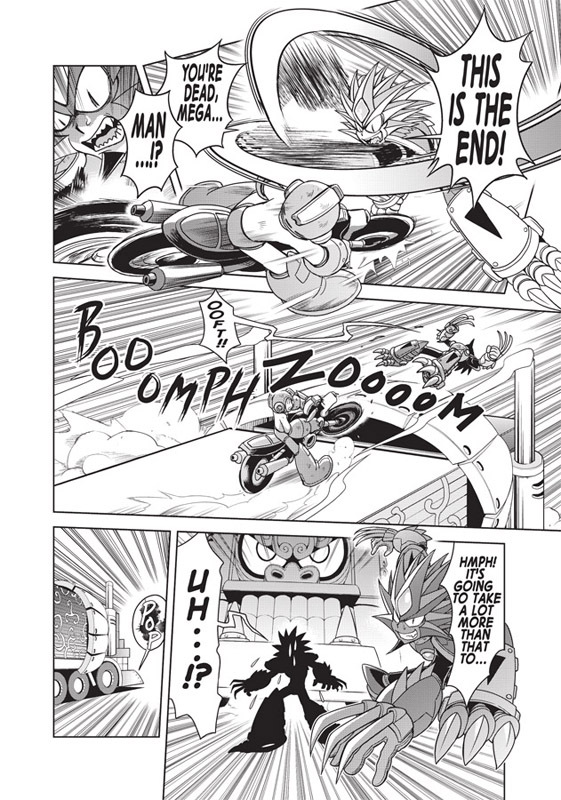 XD And if that wasn't enough, Auto also runs over him in other page! I was the first anon who commented on this page... and NOW I just got a message from Amazon saying it's coming in the middle of June! Just in time for pay day. Vol. 1 of this is so bought!